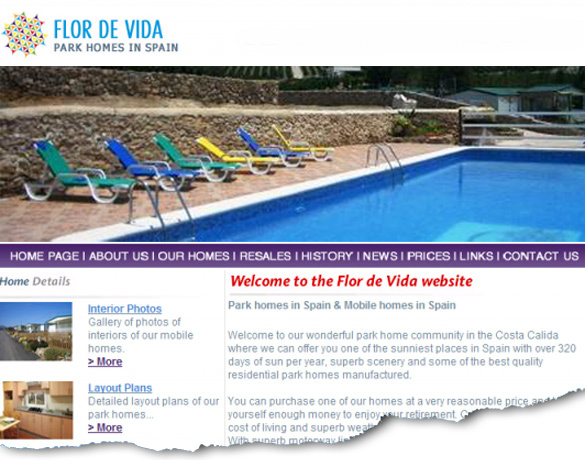 The client approached us initially regarding seo of their website for their mobile homes and park homes in Spain . They were also interested in achieving a high ranking for their new website so also opted to use our seo services as well. As with every project the client provided us with a list of search terms and we then targeted these for their website. Whilst the website itself could perhaps do with a redesign, we are still able to offer our seo services for older websites without the need for a redesign. After we had carried out a review of the site, their current rankings and popularity, we recommended some design and content changes to the client. The site also needed numerous backward links set up for it, so we embarked upon a large links campaign for the client. The site was also submitted to a good selection of directories and the Yahoo! directory.